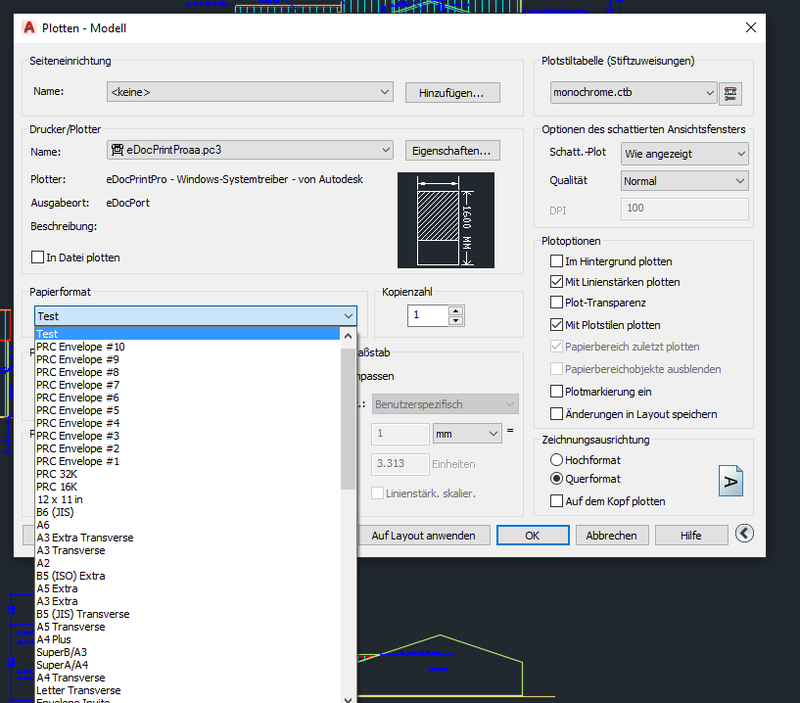 Custom formats for AutoCAD LT 2017: AutoCAD LT can only use custom sheet sizes if they are created as standard formats. This is not in accordance with Microsoft’s specification. In order to be able to use such individual page formats with AutoCAD LT 2017, we now simply save the custom formats under the standard formats. This solves the problem. 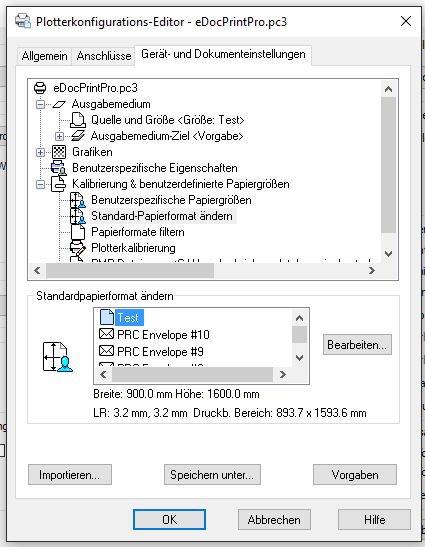 New routines for text extraction: There is an option to save the text from the printed document as a file in addition to the PDF / Image. 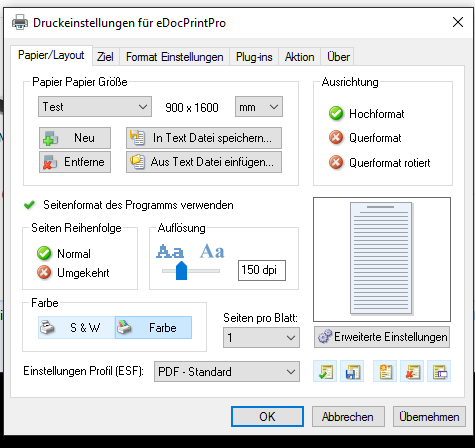 For this function a new toolkit is used for PDF documents. GhostScript is used to extract the text for image documents. File overwrite – message that the action is not possible: Output can be configured to overwrite an existing file. If this file was opened or blocked by another application, the application has not received a confirmation that the action could not be executed. With the current version the user gets now anyway feedback to be confirmed.